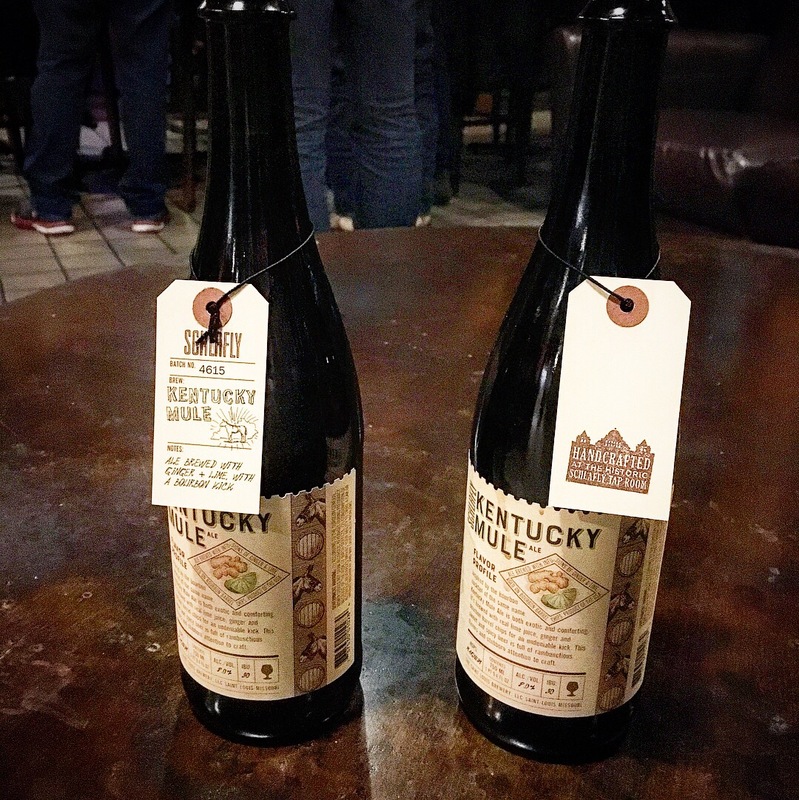 We went back to Modern Brewery during St. Louis’s Craft Beer Week. Mostly because we we’re headed to this BBQ event at 2nd Shift which was packed with people to the point both my husband and I got a little zap of anxiety and decided to retrace our steps, since we passed Modern on our way to 2nd Shift. Also, my husband is still (sadly) allergic to cats, so I was already apprehensive about 2nd Shift since they have a few brewery cats running around. And because of this, I can say with certainty Modern is just not my jam. This time around, I got the special release Birdman APA and my husband went with the Modern Man lager. Don’t get me wrong, Modern was packed with people. Their beer is clearly good. I just don’t like it. Neither does my husband. And that’s okay. Saint Louis is full of great craft beers. There is more than enough for everyone to find something they love. If anything, I’m a little thankful there’s one less place to choose from next time we’re discussing which brewery to visit. That doesn’t mean you shouldn’t check it out for yourself when you get the chance! 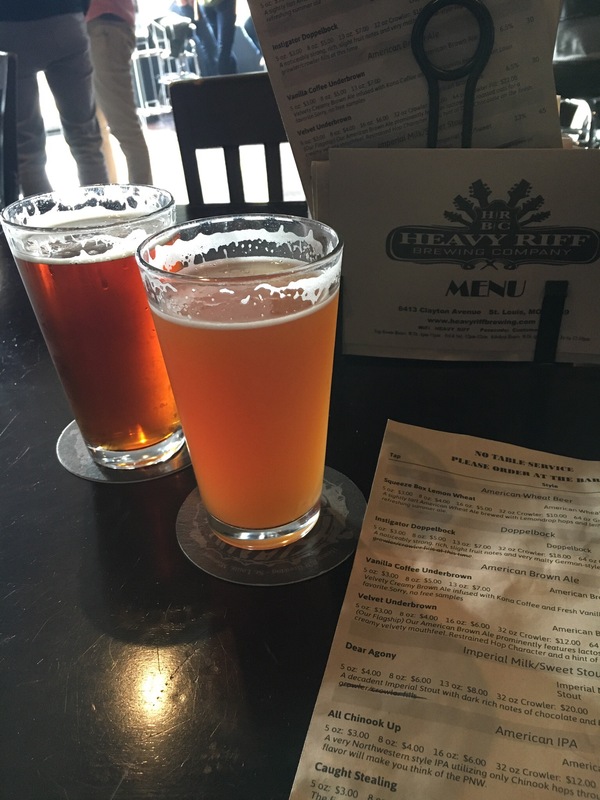 We’ve been sort of avoiding visiting either of the two Schlafly (pronounced shla [‘a’ like in ‘cat’]-flee) brewery locations because we’re now St. Louis craft beer snobs who view Schlafly as practically being on the same level as any Anheuser Busch product. That’s not exactly fair — mostly, Schlafly was our first St. Louis beer experience, and we found Schlafly beers back in Virginia, and they seem to be everywhere here, so they just aren’t *exclusive* enough for us anymore. Anyhoo, we decided to visit Schlafly because it was one of the few breweries we haven’t yet visited and (the Bottleworks location specifically) because it was pretty convenient for us and the friend we were meeting up with. 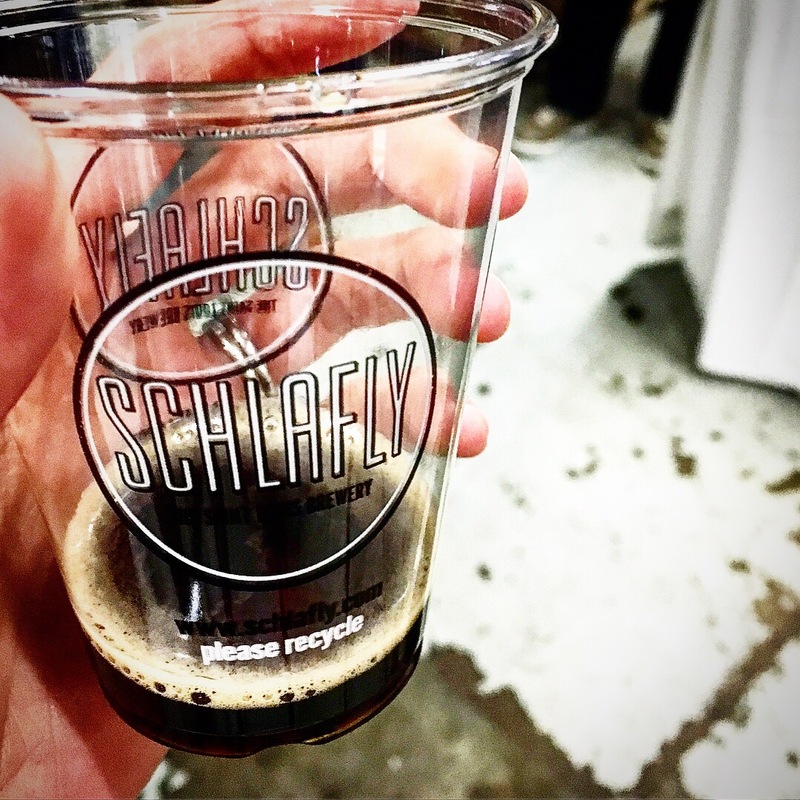 First, let me throw some fun facts at you: Schlafly was the first microbrewery to open in St. Louis since Prohibition. They opened their downtown location (Taproom) in the early ’90s, and expanded to a second location (Bottleworks) in the early 2000s. Secondly — and maybe this should have gone first — you need to know why visiting Schlafly is imperative. They have a bunch of beers that aren’t sold everywhere. Specialty and seasonal options that are freaking tasty and fun. We really liked the Kentucky Mule Ale specifically (which basically tasted like a Moscow Mule, but with beer). The Bottleworks location is pretty big, with lots of seating (indoor and outdoor), a shop full of beer glasses and t-shirts and 6-packs, plus a space you can walk around and learn more about the different beers being brewed (and windows you can peek through into the plant). It was a lot of fun and surprising in the best way. The food looked really good, but we’d just eaten so we’ll save taste-testing for our next visit. Civil Life is possibly my husband’s favorite of the local breweries — but more for the atmosphere than anything. We found Civil Life because it is one of the few breweries that has (or at least advertises) outdoor seating. (Some, like 2nd Shift and Modern, have huge warehouse doors so you can still enjoy the sun and warmth even if not technically sitting outside). It reminded him of a beer garden we liked to frequent back in Virginia, with its picnic tables and no-fuss environment. I only had the Oktoberfest beer, which was good but a little heavy. My husband had both the Oktoberfest and the Brown Ale, which is their most popular beer. The weekend we went was their anniversary, so it felt in some ways like we were crashing a party — most everyone else seemed to be regulars who all knew each other. It’s a small brewery with picnic tables outside and a few tables inside, but they do let you wander around and see the tanks and their actual brewing process. We’ll have to go back in the spring so I can try more of their beers. We revisited Civil Life as soon as the weather warmed up. The beer garden out front was a lovely spot to enjoy the sun and a tasty German Wheat. They are cash only, something I had forgotten, but they do have an ATM on site. Also, the beers are so inexpensive — $2.50 for a 10 oz pour, $5 for 20 oz. Their food looked really good too; we’d discussed getting nachos but didn’t have time before some of our group had to get to school for a late meeting. Since these two are tied for 2nd place in my book, I decided to do a post about both of them together. 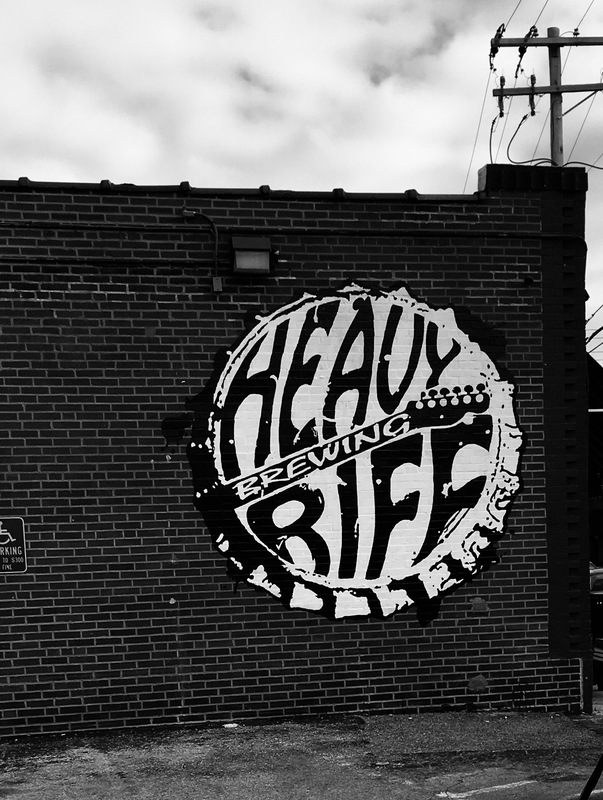 We just sort of stumbled upon Heavy Riff the other day, after the most delicious burgers at Hi-Pointe Drive-In. Their Squeeze Box Lemon Wheat is pretty good, and I was surprised how much I liked the Eat a Peach IPA and their American Pale Ale Left Coast Envy, since I’m not a huge fan of hops (I know, how reliable can my craft brews reviews be if I don’t like IPAs?). The space is a good size, with a few booths, some pub tables as well as actual dining tables. They have a shelf full of board games — so lingering over drinks is encouraged. The theme of the name carries throughout, from guitar draft handles to posters of rock legends and concerts along the walls. Four Hands is a bit more “commercial” than most of the other breweries, which my husband didn’t like as much. They have a nice lounge area with couches and low tables, as well as the main bar area with the long tables and plenty of seats at the bar. Then there’s an upstairs, with it’s own bar, booths and tables, and old-school arcade games like skee-ball. We tried a handful of samples, and my husband really liked the (seasonal) Snake Oil Red IPA, and my favorite was the (also seasonal) Tangerine Slam/City Museum (for some reason, it had different names depending on the drinks menu you looked at). The Single Speed is year-round and pretty good, blonde ale. We met up with a few friends here before the Army-Navy game, so it was a fairly brief visit. I’d love to go back now that the seasonal beers have changed over (and maybe this time snap a few pics! ).